Locey Field-Sault Ste. 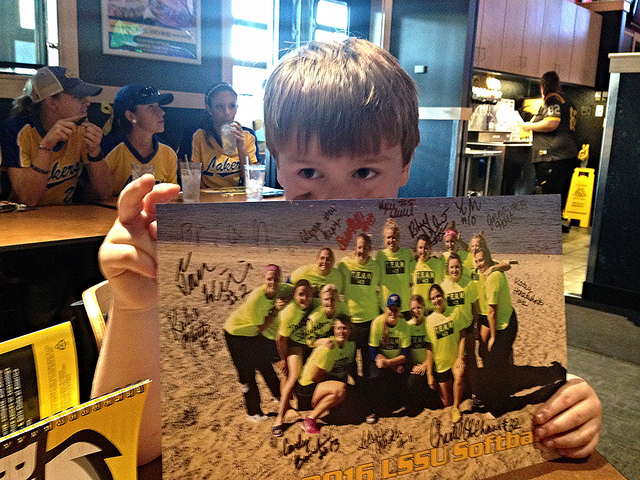 Marie, MI: On Wednesday night, the Lake Superior State Lakers softball team hosted Little League Day. 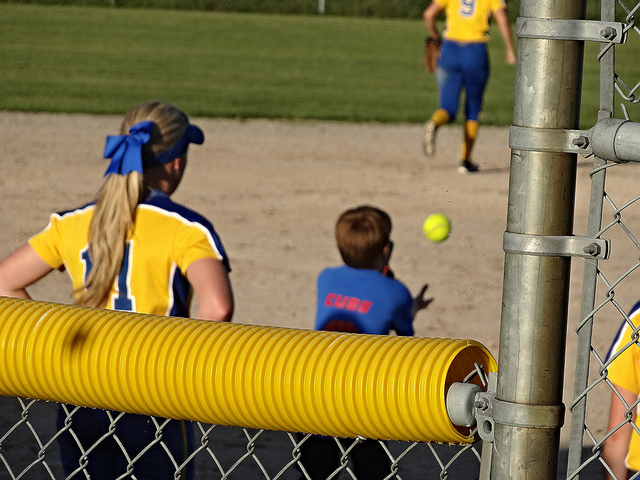 The team invited the kids to watch one of their practices, and they were able to hang out in the dugout with the girls. After practice, the Lakers brought the kids onto the field for some fun and games. Brian did great in the throwing and running the bases competition. 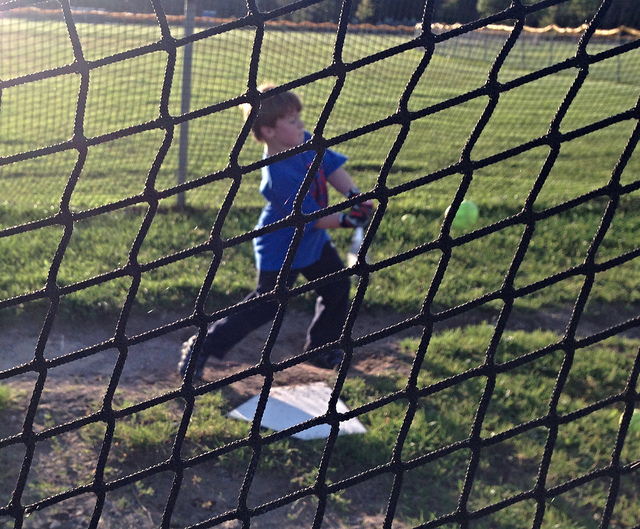 Then they played some catch, and Brian did some hitting in the cage with his favorite player. 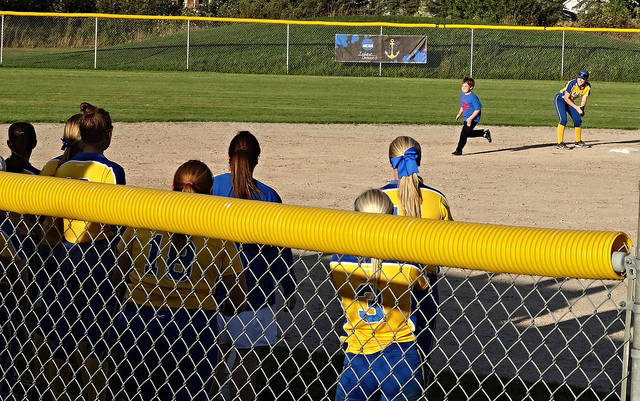 This was a really nice thing for the Laker Softball team to do for the Little Leaguers, I just wish that more kids would have showed up to participate. After the work on the field was done, we all headed to Buffalo Wild Wings. The Lakers were giving out team posters that all the girls signed for the kids. 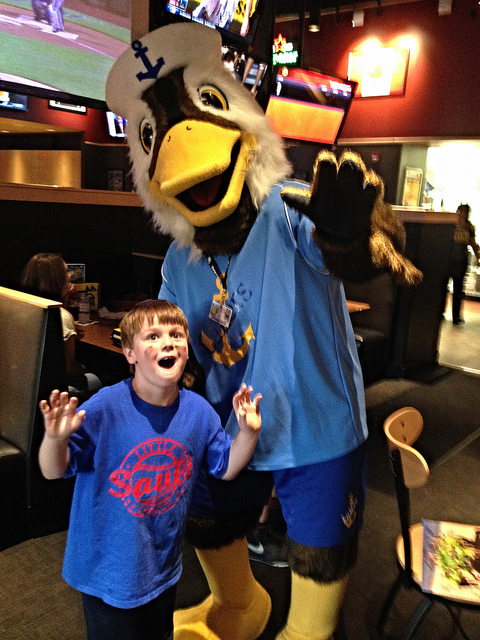 Brian was really happy that the Laker mascot Seamore the Seaduck showed up to entertain his fans, also. We ate well, and the girls are always to nice to Brian and all of the other kids that showed up. It was a nice way to officially end our season, and for the Lakers to begin theirs. Brian being silly with Seamore! I remember going up to the Sault for hockey tournaments. the weather seems much better now than at the end of January when I used to go. Yeah, the winters up here are rough. That’s one reason I’m looking at a transfer south!